First Unitarian communicates news, events, and information in a wide variety of publications and media. Welcome to our First Unitarian website! It is loaded with useful information for visitors, newcomers, members, friends, and those interested in learning more about who we are and what we do. First Unitarian’s Facebook page contains updates, useful links, photos, and more. To connect, click here or type “First Unitarian Providence” in the search box on Facebook. In either case, be sure to “like” us and keep up-to-date. Also, the Side With Love group at First U has an additional Facebook page, which you can reach by clicking here, or by searching for “Side With Love – First Unitarian, Providence” on Facebook..
We have a new Instagram feed which will give you an ongoing look at life at First U. You can reach us there by clicking here, or searching for “FirstUProvidence” on Instagram. Be sure to follow us for ongoing updates. We publish our monthly online newsletter, News at First Unitarian, from September through June with a summer edition in mid-June. Subscribers receive an email with a link when it becomes available on our church website. 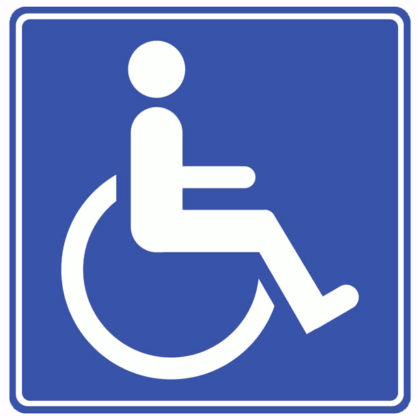 Those who do not have internet access can call the church office to arrange an alternative delivery. Clink here or on the red link on the left to view current and past newsletters. A complete schedule of upcoming events and information appears each week in the Meeting House Times. The Times is printed and inserted in the order of service each Sunday. We also send it by email on Thursdays to members and those who have requested to be on the newsletter email list. Click on the red Upcoming Events link on the left to see the most recent issue of Meeting House Times. 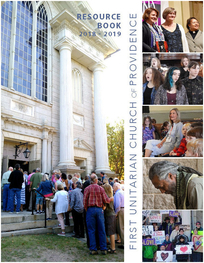 Published at the beginning of each new church year in August, the Resource Book is a large, glossy, magazine-style print publication loaded with information about First Unitarian and photos. It gives newcomers as well as members an overview of First Unitarian’s programs, groups, events, staff, and leaders. Click here for the latest issue. An email goes out weekly to volunteer teaching teams from our director of religious education with news and information about the upcoming Sunday’s Spiritual Pathways Program for Children and Youth. Parents receive an email each month with information, inspiration about themes, and notes on UU parenting. A new blog from our minister, board chair, and religious education director appears each month, September through June. To view them, click on the red titles on the left.